Historically known as the “Queen of the Copper Mines,” Bisbee, Arizona, is now a charming destination for travelers to experience history and culture. After large-scale mining operations became obsolete, the city evolved into an artist’s colony, a tourist attraction and a relaxing place to relocate. Visitors will delight in strolling the sidewalks of this community, experiencing art galleries, small specialty shops, bookstores, cafes and local restaurants. Bisbee is also home to the Bisbee Mining & Historical Museum, an ideal location for history buffs to learn about copper, architecture and Bisbee’s past. 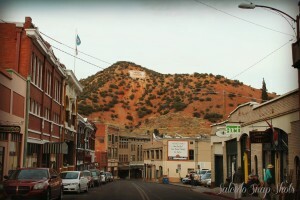 Many will also come to Bisbee to take the Copper Queen Mine Tour, a look into the days when copper was dominant in Bisbee’s culture. 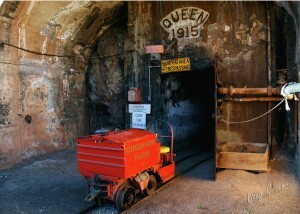 Posted on September 15, 2015 by League Staff in Arizona's Downtowns | Tags: Arizona Cities @ Work, Arizona Downtowns, AZ Cities @ Work, Bisbee Mining & Historical Museum, city of Bisbee, copper, Copper Queen Mine Tour, Downtown, Southern Arizona | permalink.